Rhyme Rhythm Reason is a playful poetry collection—amusing and sometimes inspiring. 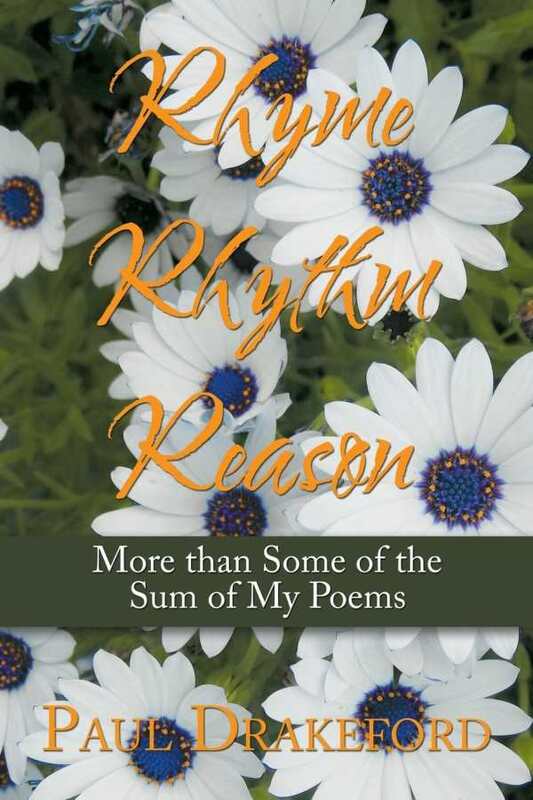 Paul Drakeford’s Rhyme Rhythm Reason: More than Some of the Sum of My Poems puts a clever, witty, and poetic spin on the three Rs. This brief chapbook gathers lighthearted, humorous poems, some dating back to the late 1940s. These “orphan poems given a home and sent out into the world” have a vintage feel, and frolic with whimsy and verve. Early on, the poems focus their intention inward, considering what inspires poets to write, how they can ascend the lofty heights of Mount Parnassus, or what a local literary journal in Melbourne chooses to publish. They are of most interest when they are not insular, such as when they concern life, loneliness, and the human condition. A rollicking spirit of fun and fancy pervades the book, including when the narrator abruptly ends the poem after “losing the plot” or when chivalric bravado gets juxtaposed with a trip to the spa in the Don Quixote-like “A Knight at the Baths.” Rhyme Rhythm Reason shows satirical flair, as when it enumerates the many, many banned behaviors on the South Australian Railways that, ultimately, include even travel. Poems excel at wry punchlines, as when a hopeful (if vulgar) call ends up being a wrong number. The book is filled with wit and glib wordplay, such as a woman working at the information counter named Miss Information or an anteroom infested with ants. It dabbles in double entendres: a person threatens to call the manager; someone asks what they will call him. Silliness is also frequent, as in a poem that finds a gorilla asking if there’s a gorilla department in a running gag that runs perhaps too long. The poems are written in free verse, sometimes with rhyming couplets. They prioritize economy, placing a premium on well-chosen words. Poetic techniques are used skillfully, including alliteration and extended metaphors, such as the geological riffs in “Life is a lonely planet” about sands of time. Language is concrete and evocative, with memorable phrases like “palely loitering at ease” proving not uncommon. Despite the largely jocular tone, the book occasionally tackles deep subjects, as with “Man Is a Misfit,” which stakes out the pessimistic view that “Man is a misfit, / Fit but to fail / And fall.” Billed as a miscellany of odds and ends, the poems don’t really gel together. The tone varies wildly from one poem to the next, leading to reader whiplash.